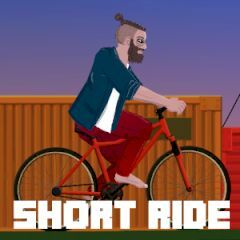 Hop on the bike and take a rapid ride along interesting levels. Don't get cut into pieces by saws, laser and other surprising stuff ahead. Slow down when you see a sign and do exactly what it says. Take your time and make sure you lose none of your body parts. Collect stars and get time bonuses.